Copyright 2009 - 2019 Debrand i8910 - All Rights Reserved. 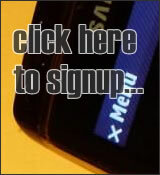 Advertisement - Do You Want To Sim Unlock The Samsung i8910 Omnia HD? If you are looking to debrand your Orange Samsung i8910 Omnia HD handset; then look no further. On this website you will find the tools / software and Video Tutorials needed to debrand your Samsung i8910 Omnia HD. What is debranding you might ask? Well some network operators replace the phones firmware with their own custom firmware tailored towards their own services. In Orange�s case you see the orange colour themes / logos and their own applications/tools/widgits instead of the generic ones you would expect to find if you were to purchase the phone sim free. This can be very annoying at the best of times and not only that it means you have to rely on them to release firmware updates, appose to Samsung; which in not going to be as often let�s be honest. So if you�re wondering if it�s really worth doing then I would have to say YES. 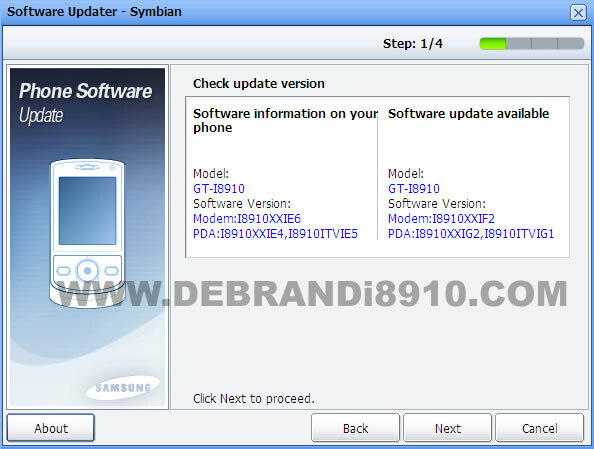 On the 11th July 2009 Samsung began to release official Firmware Updates via PC Studio 7, these updates are not available to branded Orange handsets, also the updates are limited to certain regions. While I can confirm over 200 people from this website have managed to debrand there Samsung i8910 Omnia HD through the use of the firmware provided here and our Video Tutorial, there is still a risk you could damage your phone. When flashing / debranding your firmware you do so at your own risk, and accept you have been made aware that you run the risk of damaging it. So how much will it cost? We charge �5 around $8, the reason for this charge is to reflect the time and effort involved in sourcing our firmwares, testing and making sure they work, and also to cover our bandwidth. Please note you are purchasing a download link, this link will expire after a period of time to prevent abuse of our bandwidth. Click Here for the Latest version of Samsung PC Studio 7. We do recommend you also purchase the Orange Branded Firmware in the event you do need to send your phone back under warranty for whatever the reason may be as Orange may not honour your warranty if they are made aware you have debranded the phone and removed there firmware. When debranding; your phone will be flashed with the Italian Firmware I8910XXIE4 : 18/05/2009, don�t worry this supports English. The reason we use the Italian Firmware is they are now supported under the Samsung Updater. You will also notice the addition of multiple widgits some of which include Facebook, YouTube, MySpace and more; Also an addition to the GPS called GPS+. Most importantly, you will be able to run the Firmware Updater using Samsung PC Studio 7. Samsung have officially released their first update. I can confirm in this update they have indeed replaced the Audio Codec. There has been much talk about the pore quality of the Audio Codex used, Samsung have now addressed this and replaced it with another, increasing the Audio quality. After debranding my own Samsung i8910 Omnia HD, and then updating with Samsung PC Studio 7 I have noticed a true increase in performance; the phone seems so much more responsive, others have also reported the same. Q. I have downloaded a rar file, but it wont run! Q. Can i flash/debrand my phone using Windows Vista? A. At this time you are only able to use Windows XP, HOWEVER; once debranded you can then use the Samsung PC Suit 7 to perform future updates which is supported by Windows Vista. Q. When choosing the Code XML file in the flashing tool it comes up with "Failed to instantiate DOMDocument40 class. ret = -2147221164"
A. Install the Samsung PC Studio 7, which came with your the Samsung i8910 Omnia HD. Q. After Flashing my phone i now get a Blue Triangle and PC Symbol, what should i do? A. Dont worrie, this has been reported to be a USB 1.0 issue; plug the cable into a USB 2.0 Port and re-flash your mobile.